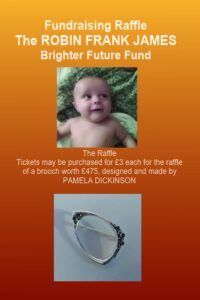 Tickets for the Raffle may be purchased by contributing £3 each ticket to our Just Giving page, or by visiting Pyramid Gallery (cash only) £3 per ticket. Pyramid Gallery and Pamela Dickinson – a long relationship…. 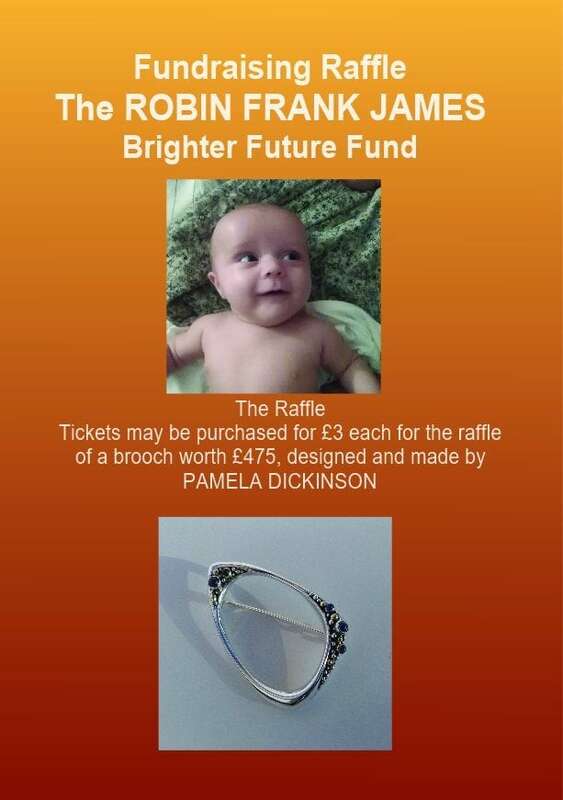 We are helping raise funds in memory of Pamela’s great nephew. Pamela and Pyramid Gallery have worked together for many years. When I first entered the Pyramid Gallery story in 1994, Elaine (my wife at the time) and I had bought the business, which was known as Pyramid Contemporary Craft and Design. Nearly all the existing jewellery designers who had supplied Pyramid for many years permitted us to continue showing and selling their work, even when they had never met us! They all just put their trust in us, taking on responsibility for many thousands of pounds worth of precious art. 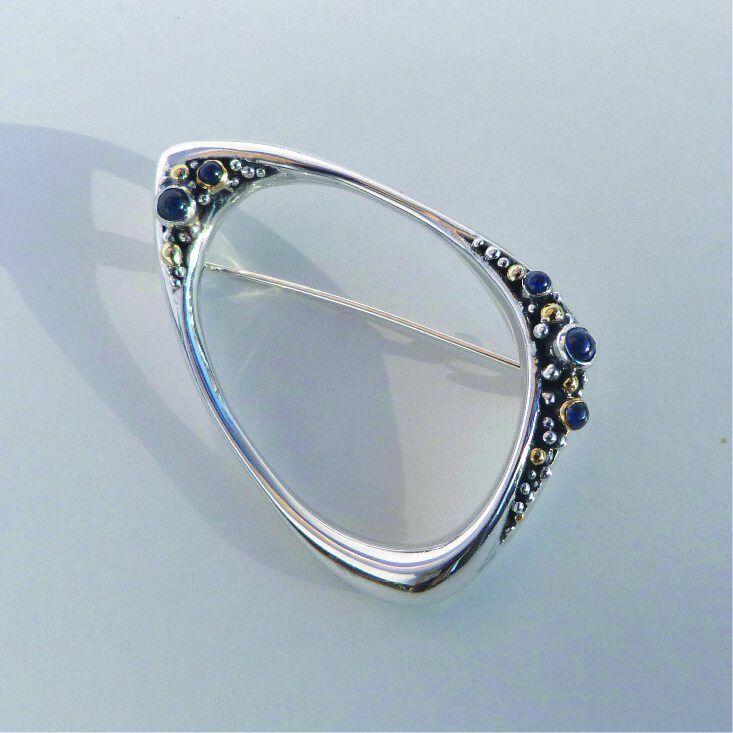 Pamela was one of those and also a lecturer running the Jeweller design and making course at Ripon St John College in York (now York St John University). Pamela wanted to have an end of year show for her jewellery students, which we hosted in Pyramid Gallery in the summer of 1994. 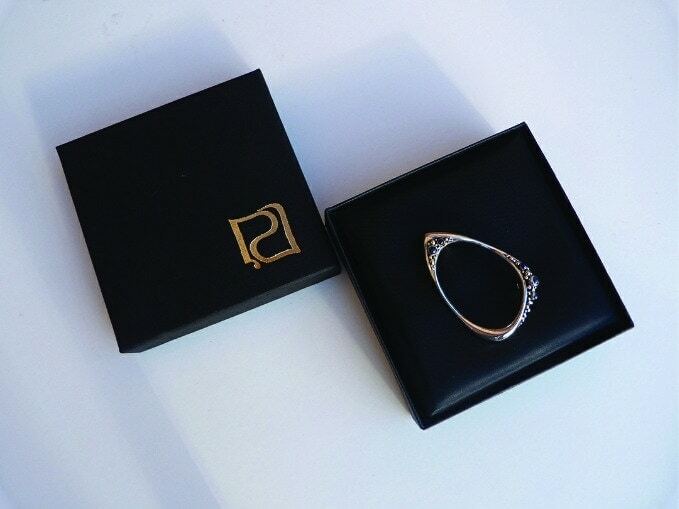 We learnt much about the trade and making and design of jewellery from that experience and have continued to show and sell Pamela’s work for the next 25 years. 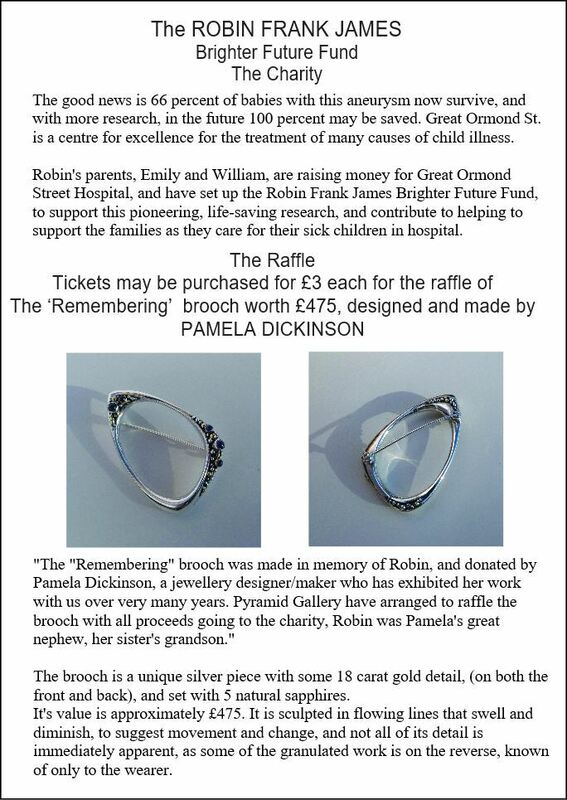 When Pamela asked me to raise money by hosting a raffle for the Remembering brooch, I had no hesitation in agreeing. The entire experience of running Pyramid Gallery has been one of working with the artists and makers, assisting each other in following each other’s path. 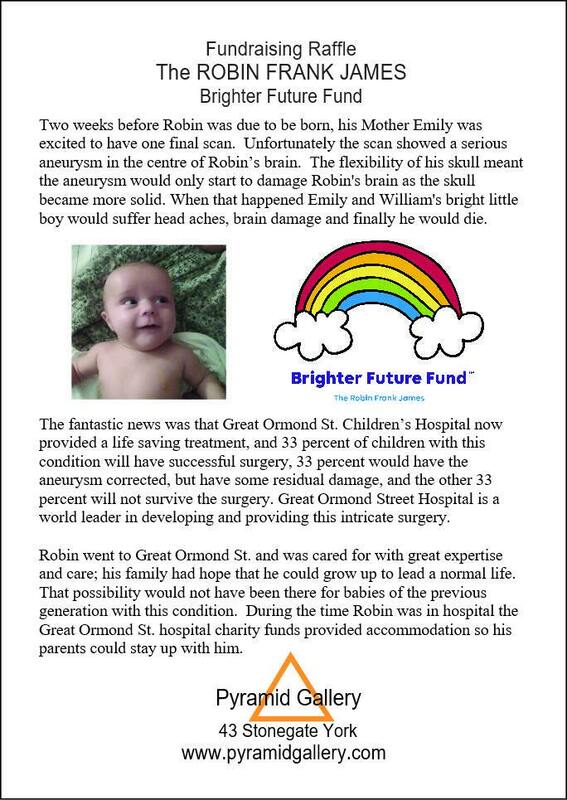 Doing something like this for a Children’s charity is rewarding in so many ways – it gives me and the team at Pyramid a warm feeling, it helps those who are directly connected with the appeal, it supports a wonderful organisation at Great Ormond St. I believe it gives our customers and other artists a good feeling too. Hence, I am grateful for the opportunity to be involved with this appeal. Thank you Pamela for asking me!